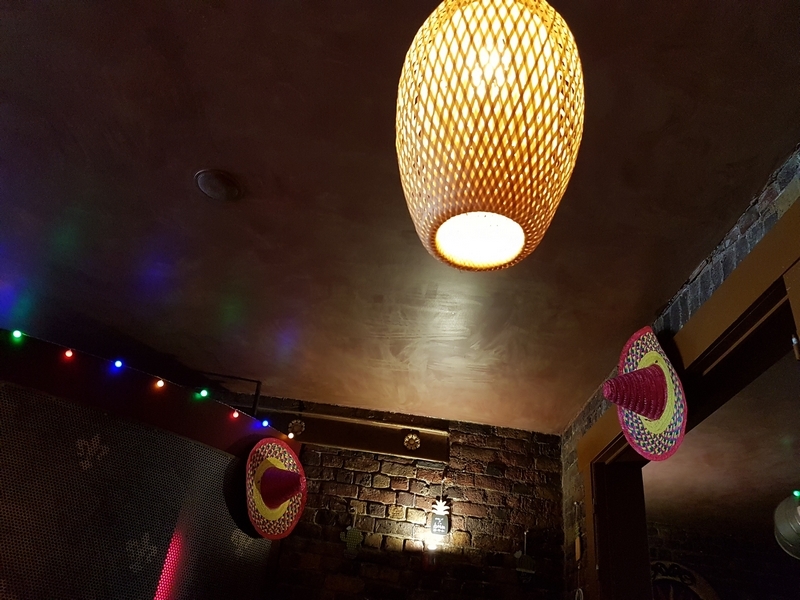 restaurant review #157 Noorderhuis is a Mexican restaurant in the center of Roeselare. 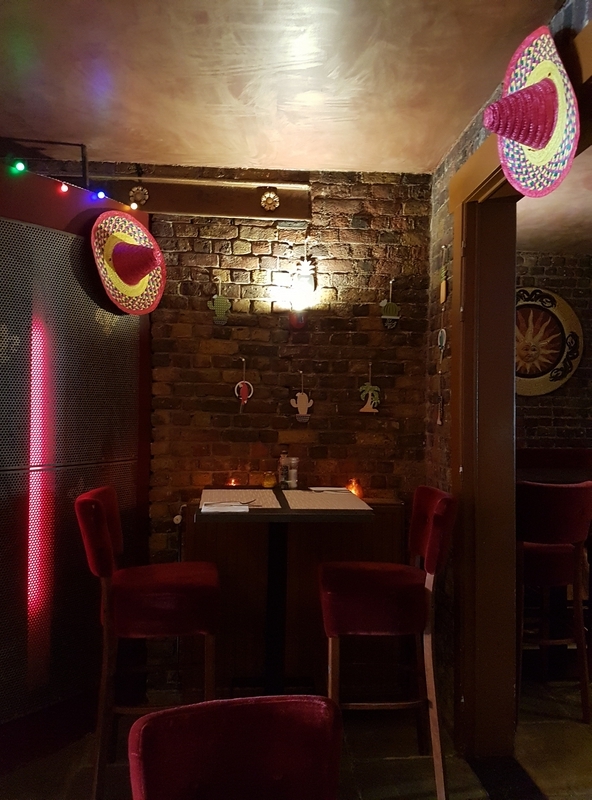 Noorderhuis does not sound very ‘Mexican’ (it literally translates as ‘the Northern House’ 😉 ), but it is located in the Noordstraat (a shopping street north of the market), hence the name. We were on our way back from the vegan market in Lille (France). 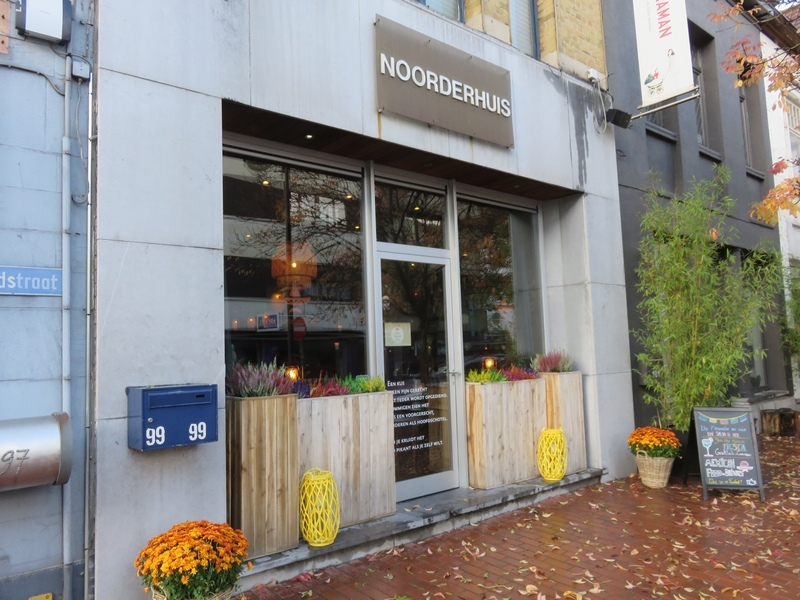 I phoned Noorderhuis beforehand to check whether they serve a vegan lunch (I had seen it mentioned on social media, but wanted to double check to be sure), and it was said to be no problem. 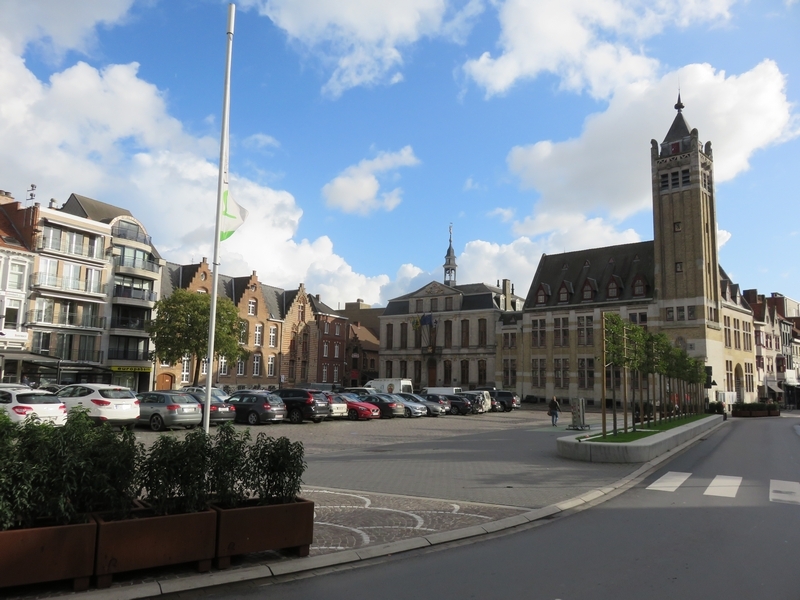 So we stopped in Roeselare on our way home. 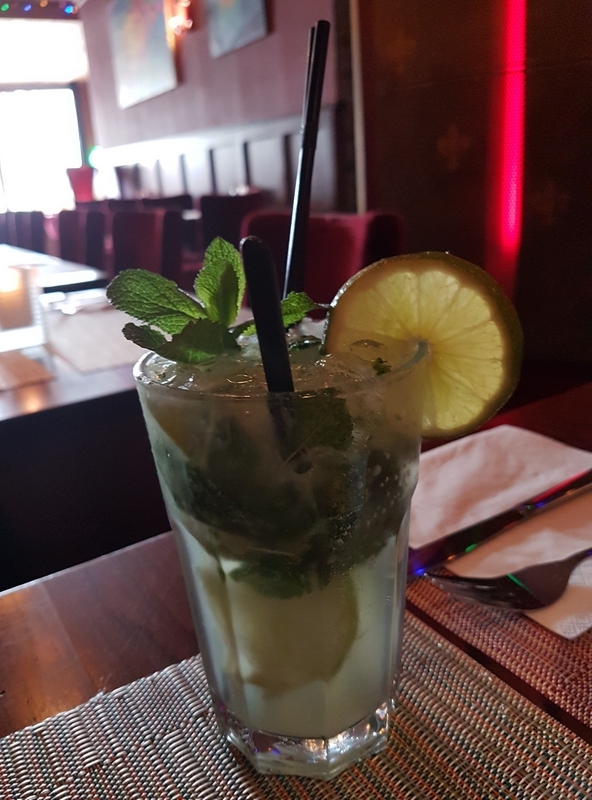 It was a quiet Sunday and a reservation didn’t seem to be necessary (still plenty of space in the restaurant). 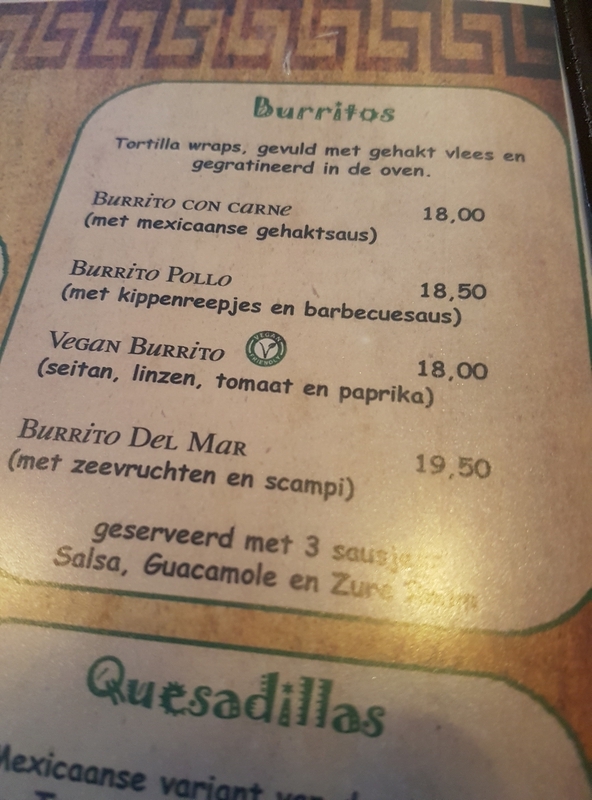 Vegan options are clearly labelled on the menu, and the waiter also mentioned we could get the lunch menu vegan (25,50€, for a starter, main course and coffee or tea). And so we did! 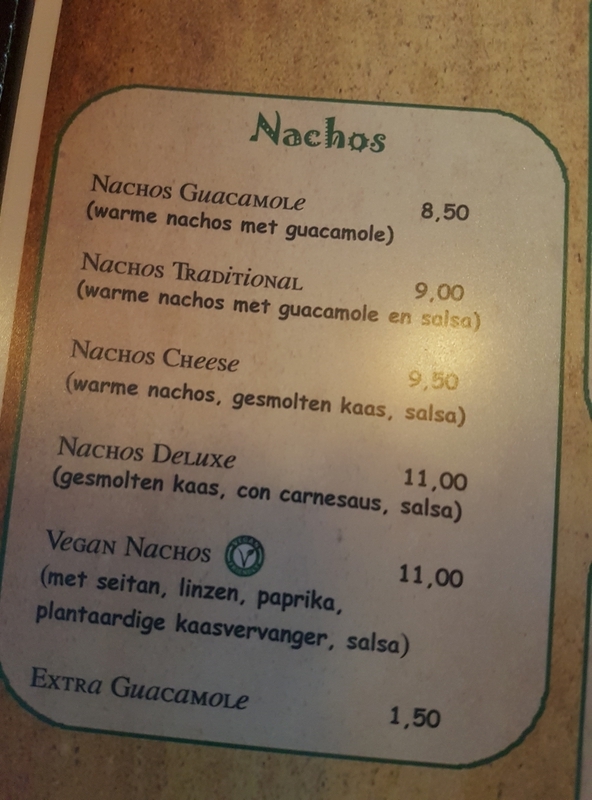 We asked the waiter why Noorderhuis now has vegan options, and he replied that the chef is vegan. So that also felt reassuring! 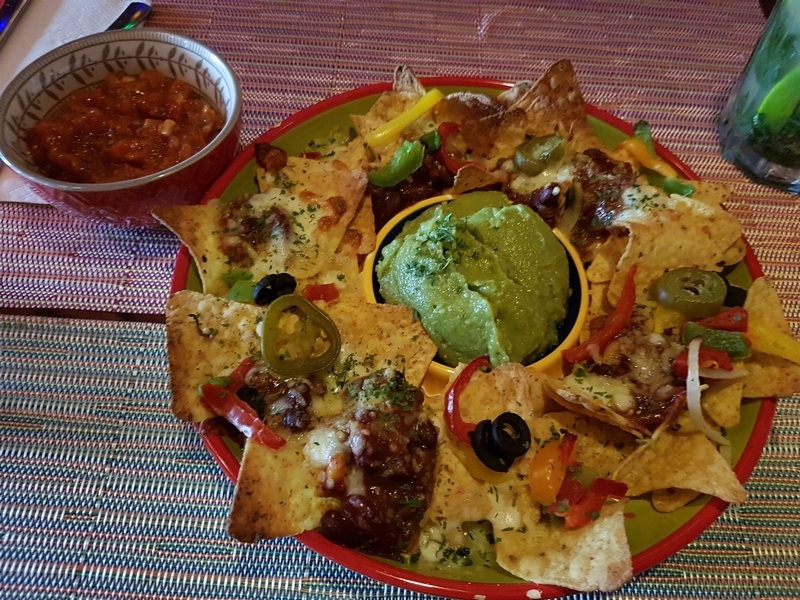 Vegan nachos de Luxe with extra guacamole (+1,50€). With homemade salsa on the side. Beware of the jalapeno peppers! Hot!! With melted vegan cheese. 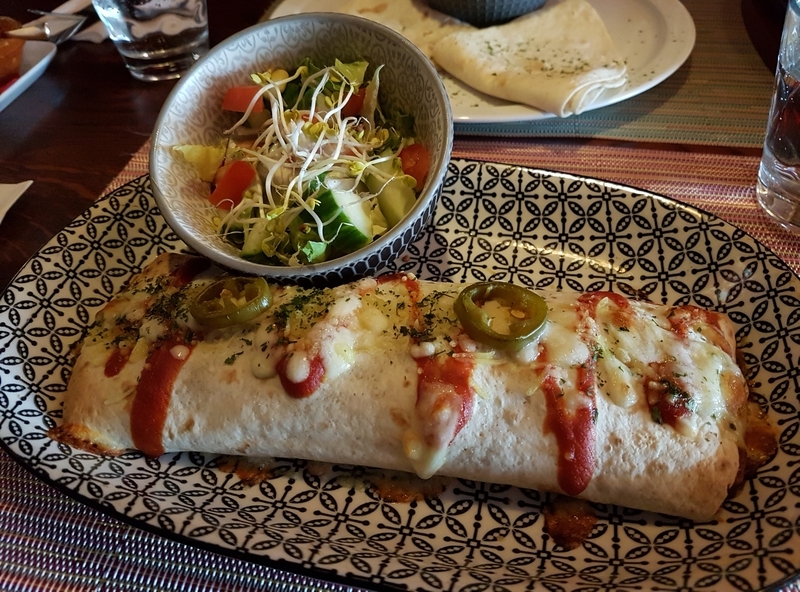 We had a really nice – and voluminous lunch! 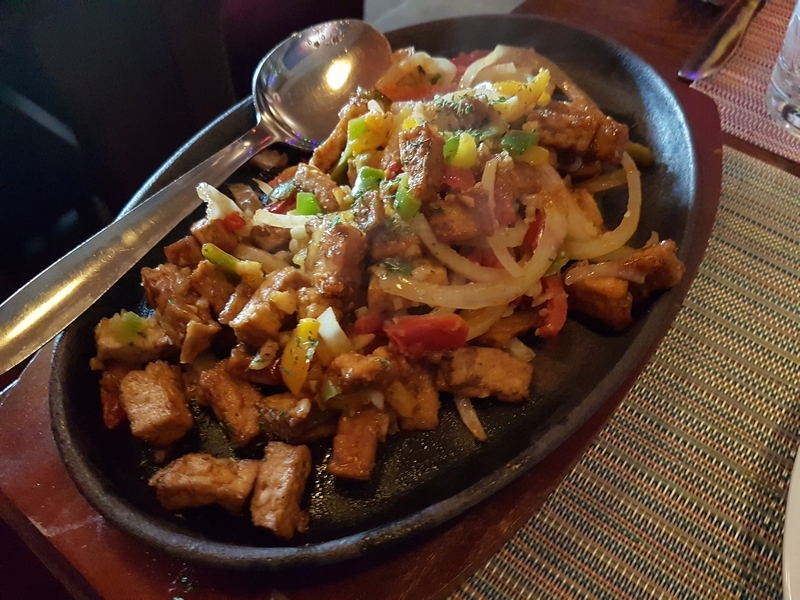 The fajita was with a lot of smoked tofu. The burrito was with lentils and seitan, with melted vegan cheese. 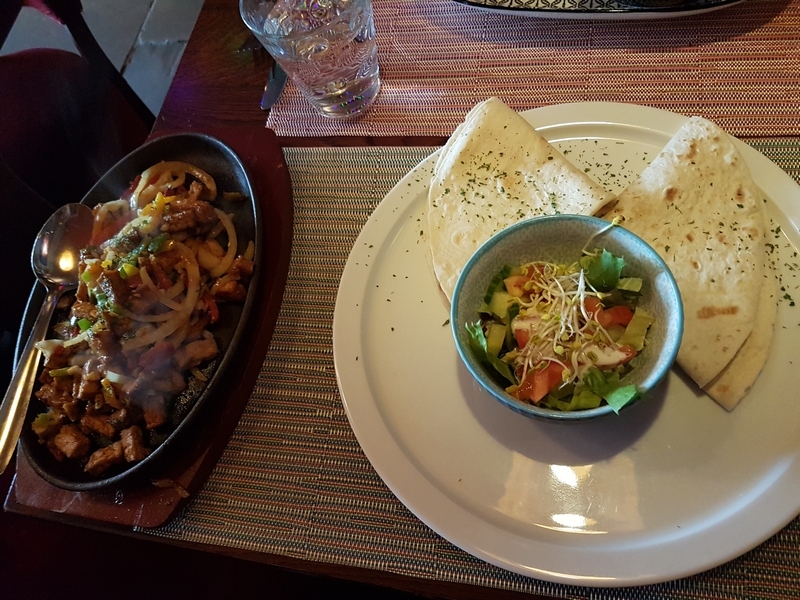 Loved the food. 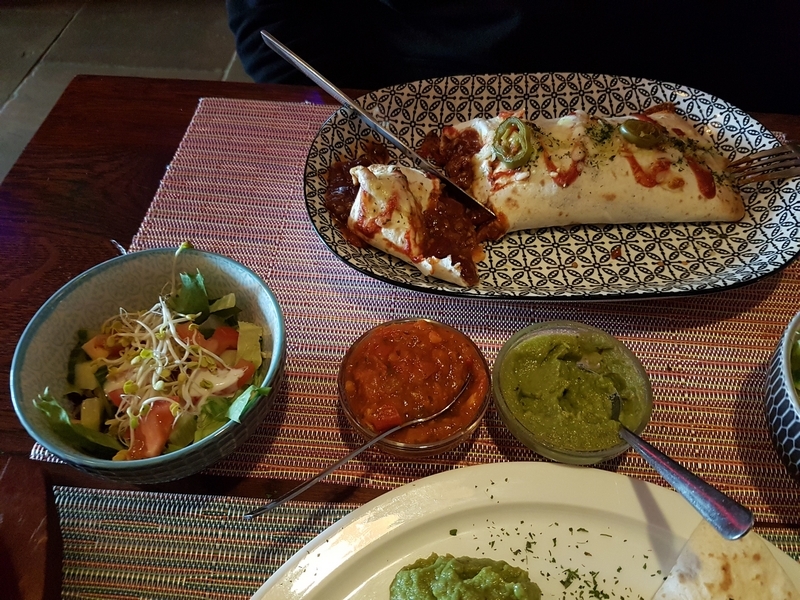 We did notice that a lot of the ingredients/preparations were a recurrent theme in the dishes (beans, guacamole, salsa, lentils, ..). 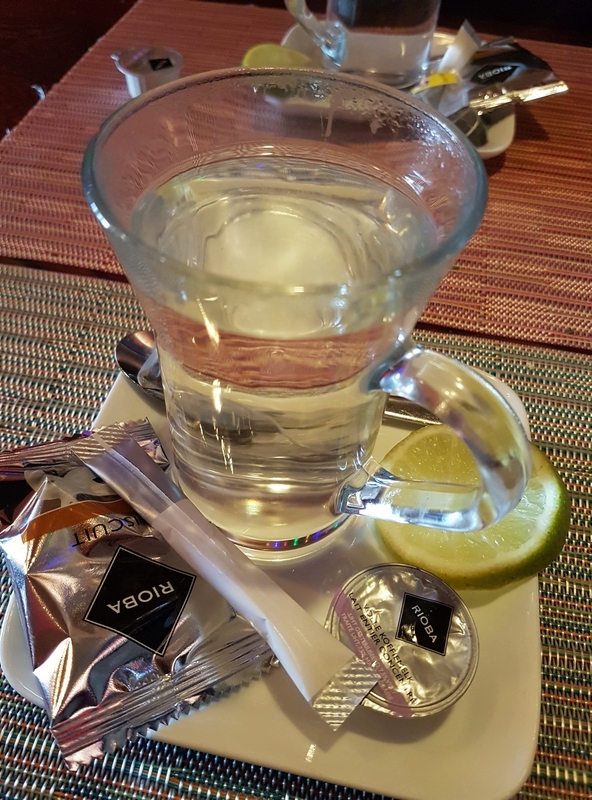 We asked for tea afterwards (included in the menu price), but the ‘coffee test’ (as we sometimes jokingly call it) failed: it came with a non-vegan cookie and with cow milk. The interior of Noorderhuis is quite dark (there’s not so much natural light coming in, as it stretches a long way into the back) and fuchsia (or wine red) is the dominant colour. The seatings are either a long soft bench, or pillowed chairs, which were quite comfortable. 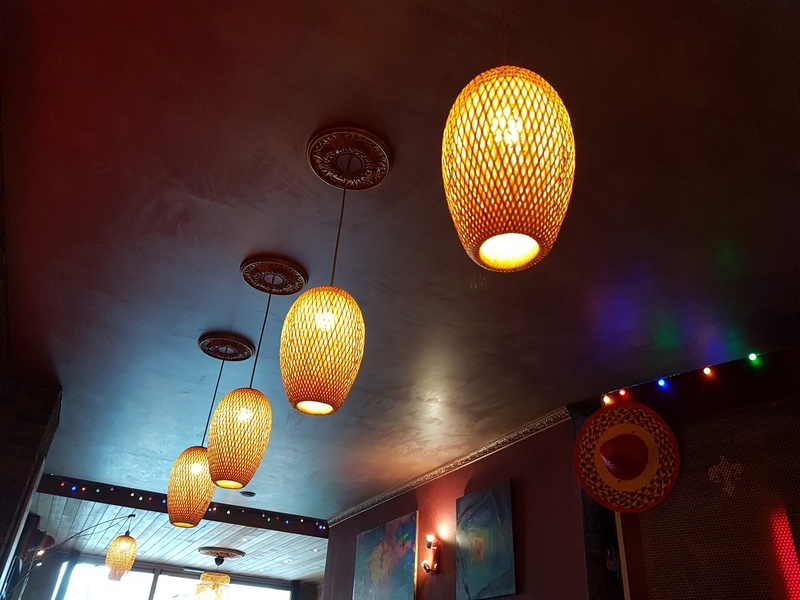 Service was friendly and we liked the ambiance. Nice music too (mexican, latin american). Noorderhuis originally was a ‘food pub’, but gradually turned into a restaurant over the years. 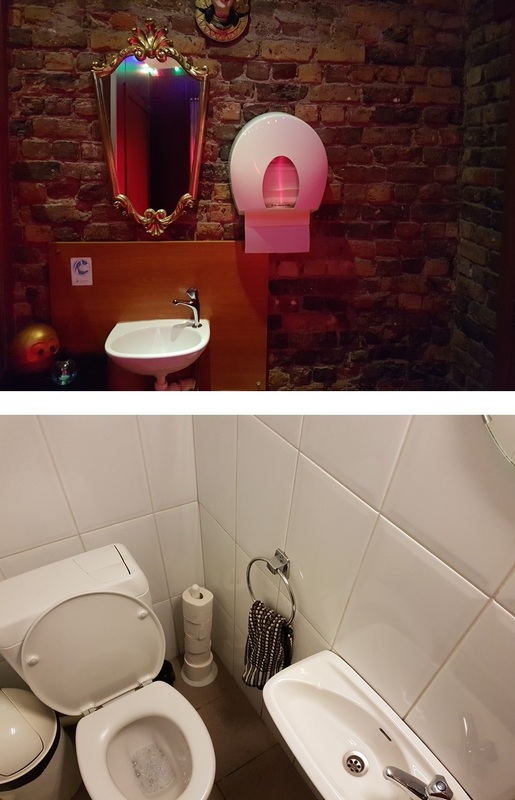 I think the location of the toilet is a relic of the pub years (seperated from the restaurant with only a thin wall and open ceiling). Toilets were clean. We had a lovely lunch. Great value for money. 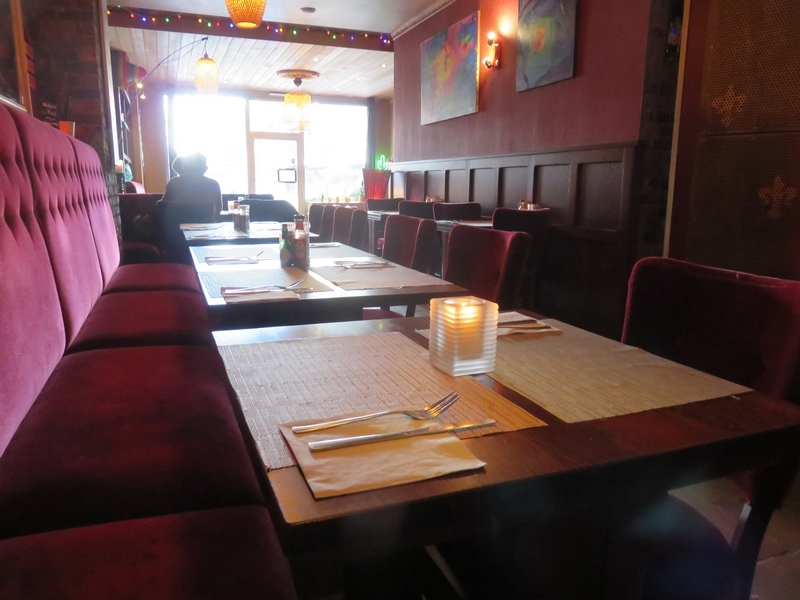 Nice to see another place in Roeselare with vegan options!